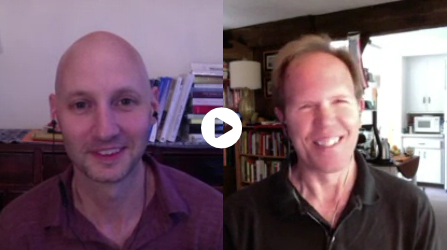 A few weeks ago, I had the pleasure of interviewing my friend, Chip Hartranft, for MeaningofLife.tv. In the yoga and meditation world, Chip is the rare practitioner who balances encyclopedic scholarship with equally profound depth of practice. In our conversation, we explore Patanjali’s road map to liberation, The Yoga Sutra. We also get into the philosophical backbone of The Yoga Sutra: the school of philosophy known as Samhkya. The latter is an inherently dualistic school of thought which posits a great divide between the phenomenological world and a pure spirit/awareness. Liberation, in this school of thought, is predicated on disentangling from the former and recovering one’s identity as the latter. In previous posts, I’ve expressed skepticism around such metaphysical views, and have been questioning how such views operate within one’s experience of practice. Specifically, I tend to see the pragmatism of the Buddhist path as leading towards a different kind of liberative awakening. Instead of waking up to an essential nature that is independent of the manifest world, my reading and experience of Buddhist practice suggests one wakes up to the phenomenological world – it’s a very much ‘of this world’ realization. Where I see differences – some irreconcilable – between The Yoga Sutra and early Buddhist teachings, Chip sees similarity, if not facsimile. And I’ll be interested to hear what you think. So I have a favor or two to ask. Please watch some or all of the interview (which can also be downloaded as a podcast from www.meaningoflife.tv) and if you enjoy, please take a moment to share with your friends on Facebook or other social media. Sharing is caring, after all. And, consider leaving a comment. A few of you have started to do this, and I really appreciate the engagement. I will be responding soon, either directly or in future blogs. Such a great post. Thank you! !